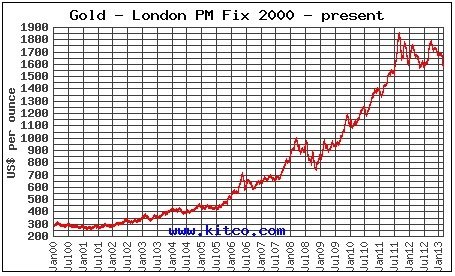 PAMP Suisse is one of the most popular producers of gold bullion in the world. 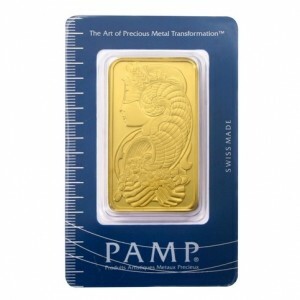 Whenever and wherever you find a reputable dealer of precious metals, you will also likely find PAMP bars. As opposed to some other brands of bullion, these bars have been produced for over 30 years and while they are made in a country as small as Switzerland, their reach has extended to just about every corner of the world. In the following few sections you will be briefed on just about everything there is to know about PAMP Suisse, as well as why and how they have become a leader in the gold bullion industry. PAMP Suisse was first founded in 1977 in a Swiss town by the name of Ticino. In addition to refining gold, PAMP also takes place in the fabrication business as well. At first the company only dealt with gold, but as time wore on they felt the need to produce platinum and silver products as well. This has proved to be an extremely wise business decision because silver and platinum have taken off in popularity over the last two decades. As they did not want to be a one-dimensional business, PAMP Suisse does more than produce bullion bars. In fact, many of the most popular watch and jewelry makers of the world employ precious metals that can be traced back to PAMP. As a company, PAMP does not operate alone, but rather is part of a group called MSK SA. MKS SA is a precious metals and financial services company that is headquartered in Geneva, Switzerland. With more than a half century of business under its belt, MKS is a perfect fit for PAMP. If you weren’t aware of just how massively popular PAMP was before, this section will probably help you understand just a bit better. Part of what makes a good bullion producer a good bullion producer is the ability to produce a wide variety of bullion at the highest quality. There are plenty of high quality bullion brands, as well as plenty of brands who offer wide varieties of products, but there are not a large quantity of producers who do both. PAMP is regarded as being one of the most elegant makers of gold and silver bullion, and in the same breath they make a wider selection of bullion than just about anyone else. In addition to these bars, there are many other gold products such as specialty art bars, gold pendants, screws, and ingots. They truly do have a variety of bullion for just about every investor. Whenever you are looking to invest in gold bullion, you are typically advised to purchase bars that come with what is called assay. An assay is basically a certification that accompanies your bar(s), and the certification insures you, the buyer, that the bar you have purchased is actually pure, authentic gold. Many smaller gold bars produced by PAMP Suisse are shipped to you encased in plastic; a plastic case that is not intended to be opened. Since PAMP Suisse provides assay with just about all of their products, you do not have to worry about the validity of your investment ever. If you are propositioned to purchase a gold bar that does not contain assay, you should do a little more research before buying just to be safe. Receive gold bar information, as well as exclusive market updates and news, simply by entering your name/email below. © 2019 BuyGoldBars, Inc. All Rights Reserved.